Luz Marie is the daughter of one of the teachers at St. Peter's. 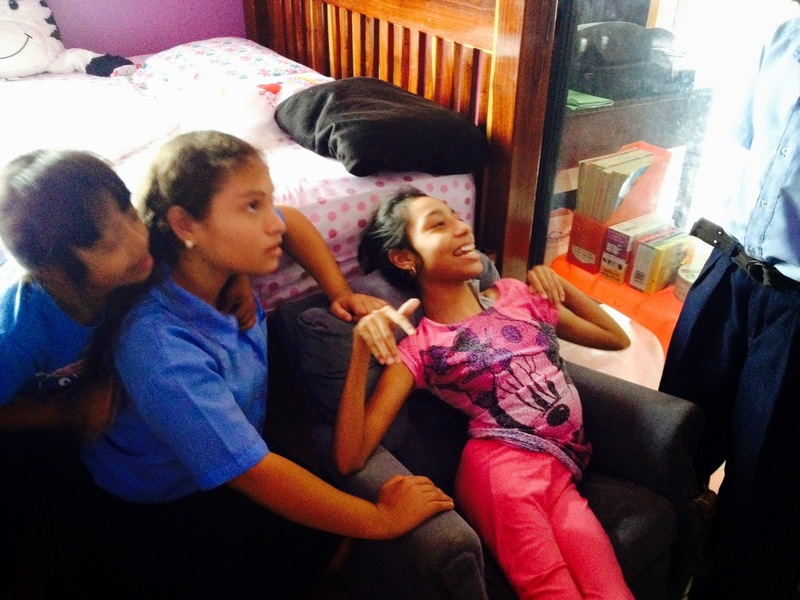 Luz has been in our Special Needs program her whole school life until recently. Her scoliosis or sclerosis of the spine has gotten worse. This makes it difficult for her to sit up for more than short periods of time. The special ed. teachers decided to take all of the children to visit her and cheer her up. It was wonderful to see how interested they were in her and how much Luz glowed from the attention of her friends. May God fill her difficult days with many happy moments like this.